Click here to view/download the April Newsletter. The Housing Authority of Kingstree (KHA) was established on July 8th, 1969. 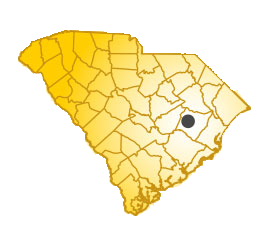 From the first & to this day, our goal is to provide nondiscriminatory housing to low and moderate income people in Kingstree. Late 2018, we converted through RAD and are now Kingstree Housing Development Company, a non-profit managing all our properties. As of 2018, we manage three Multi-family sites: Frierson Homes, McFarlin Homes and Lanue Floyd Village. Our second non-profit, Kingstree Community Enrichment provides a variety of services to our Residents from children to Seniors. We are committed to providing quality, affordable housing in healthy neighborhoods through partnerships with our residents and other groups, fostering neighborhood opportunities for those we serve to help them achieve self-sufficiency.